Lewisham Council's Sustainable Development Committee is meeting on Thursday 5th October at 7:30pm at the Town Hall. They shall be taking evidence from expert witnesses and the public is invited to observe. Click here to view the minutes from the first AGM of the Forest Hill Society held on 25th September. Below the minutes are open questions which are being followed up by TfL regarding the East London Line Extension. We had 150 people at this meeting, demonstrating the demand for such a Society in the local area. 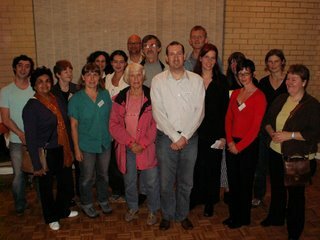 This is a picture of most of the members of the committee, elected at the AGM. Which side of the railway? Click here to access the official application form. Membership costs just £5 per year and entitles you to recieve the Society's Newsletters and to vote in the AGM. This leaflet was delivered to 10,000 houses in SE23 and some of the surrounding area. We are PROUD to live in Forest Hill and think the time is right to give the area a strong VOICE. By supporting the Forest Hill Society, we can make sure that our community gets the amenities, the transport and the environment we need and deserve. Forest Hill should be shouting from the hilltop about the great things the area has to offer – the Horniman Museum and Gardens, some architectural gems, fantastic views, and many good shops. There’s a lot to feel good about. 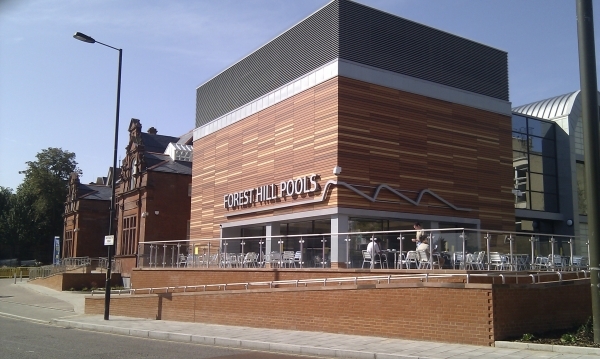 BUT ….. …what is the FUTURE for Forest Hill? The station needs upgrading, the swimming pool is closed indefinitely, there are far too many empty, commercial properties on the high street. The list goes on. 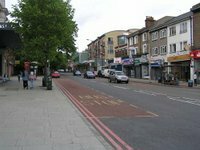 The Forest Hill Society will promote what’s best about the area as well as working with the Council to get the improvements we urgently need. Our neighbours in Sydenham, Dulwich, Peckham and Brockley already have active Societies securing important benefits for their areas. Forest Hill must not get left behind.